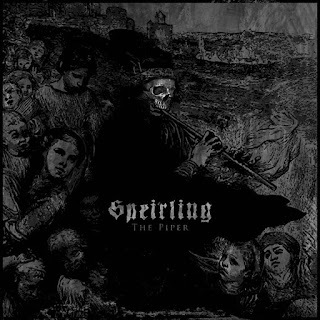 Speirling are a duo from the United Kingdom that plays a very old school and atmospheric from of black metal and this is a review of their 2008 album "The piper" which will be re-issued in 2016 by Ulthar Records. An almost silent sound starts off the album before going into a heavier direction which also introduces melodic guitar leads and spoken words onto the recording and all of the musical instruments all sound very powerful and after awhile high pitched black metal screams make their presence known on the recording. Sounds of rain and thunder can be heard briefly while some of the riffs also add in a touch of thrash and first wave black metal while the solos and leads also remain true to an old school style of metal and the riffs also use melody at times and some parts of the music bring in more of an atmospheric feeling. When synths are utilized as well as a brief use of classical guitars and when the music speeds up a small amount of blast beats can be heard while some of the fast tremolo picking brings in more of a raw style of black metal and throughout the recording there is a great mixture of slow, mid paced and fast parts and a couple of the tracks are very long and epic in length and a couple of the tracks also brings in a brief use of clean singing. 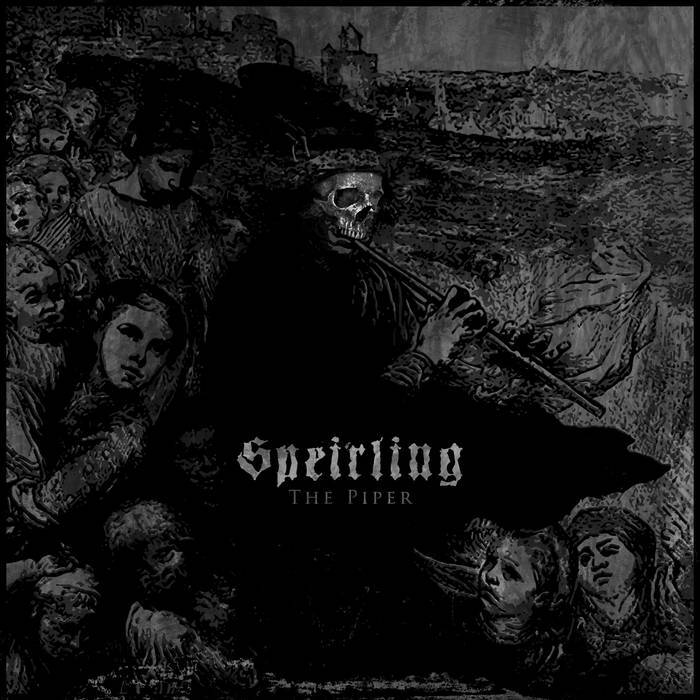 Speirling plays a style of black metal on here that is very raw, old school and catchy while also having its melodic and atmospheric moments, the production sounds very powerful while the lyrics are a concept album based upon a piper neglected and raised by a community by people weakend and corrupted by Christianity and how he takes there children out of the light and into the darkness. In my opinion Speirling are a very great sounding raw, old school and atmospheric black metal band and if you are a fan of this musical genre, you should check out this re-issue. RECOMMENDED TRACKS INCLUDE "Filthy And Cold" "The Worlds Breaks" and "Born Again Damned". 8 out of 10.